This is the fourth in our series of articles highlighting essential system tools. 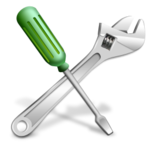 These are small utilities, useful for system administrators as well as regular users of Linux based systems. The series examines both graphical and text based open source utilities. The first tools under the spotlight were ps_mem, a small utility that accurately reports memory consumption of software, and gtop, a system monitoring dashboard. The third tool we showcased was pet, a simple command-line snippet manager. These utilities are console-based. This time we switch to a graphical utility. It’s a terminal emulator called Alacritty. But it’s different to most terminal emulators. Linux has lots of terminal emulators. What distinguishes Alacritty from the vast majority of terminal emulators? It differentiates itself by offering GPU-acceleration combined with a minimal feature set.